A heart-warming story of a woman who devoted her life to helping others. 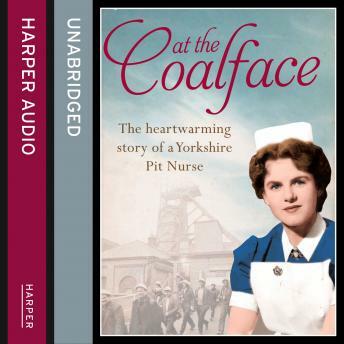 This is the memoir of Joan, who started nursing in the 1940s and whose experiences took her into the Yorkshire mining pits and through the tumult of the 1984-85 miners' strike. Joan Hart always knew what she wanted to do with her life. Born in South Yorkshire in 1932, she started her nursing training when she was 16, the youngest age girls could do so at the time. She continued working after she married and her work took her to London and Doncaster, caring for children and miners. When she took a job as a pit nurse in Doncaster in 1974, she found that in order to be accepted by the men under her care, she would have to become one of them. Most of the time rejecting a traditional nurse's uniform and donning a baggy miner's suit, pit boots, a hardhat and a headlamp, Joan resolved always to go down to injured miners and bring them out of the pit herself. Over 15 years Joan grew to know the miners not only as a nurse, but as a confidante and friend. She tended to injured miners underground, rescued men trapped in the pits, and provided support for them and their families during the bitter miners' strike which stretched from March 1984 to 1985. Moving and uplifting, this is a story of one woman's life, marriage and work; it is guaranteed to make readers laugh, cry, and smile.